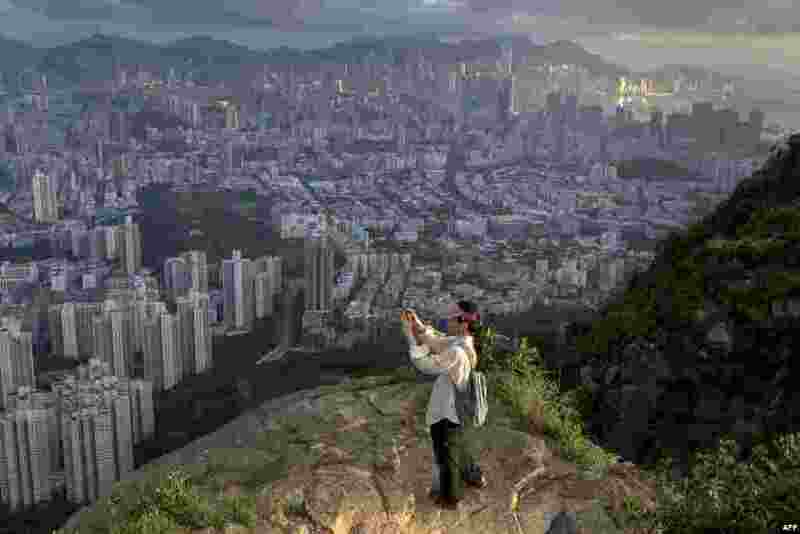 1 A hiker in Hong Kong takes a picture of the city from a walking trail. 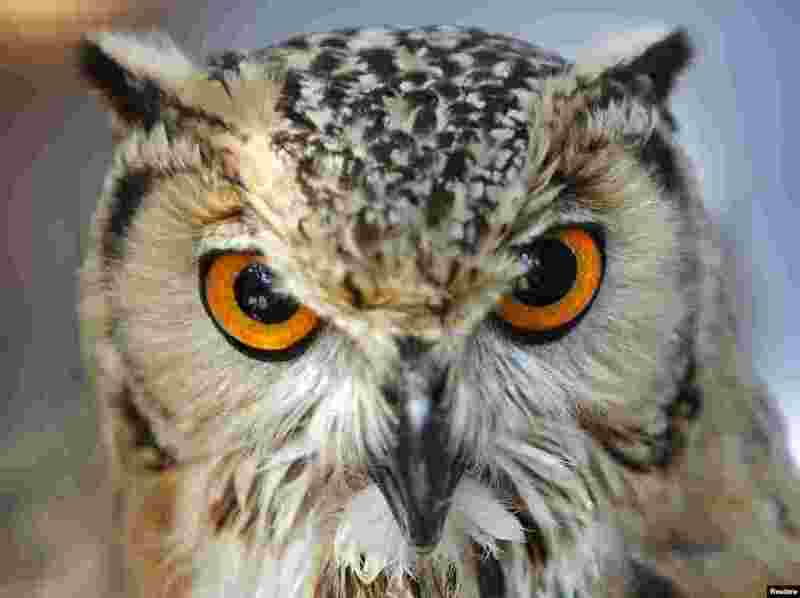 2 An owl rests on its perch on a display stand during the agricultural festival of Mnarja in Buskett Gardens outside the town of Rabat in central Malta. 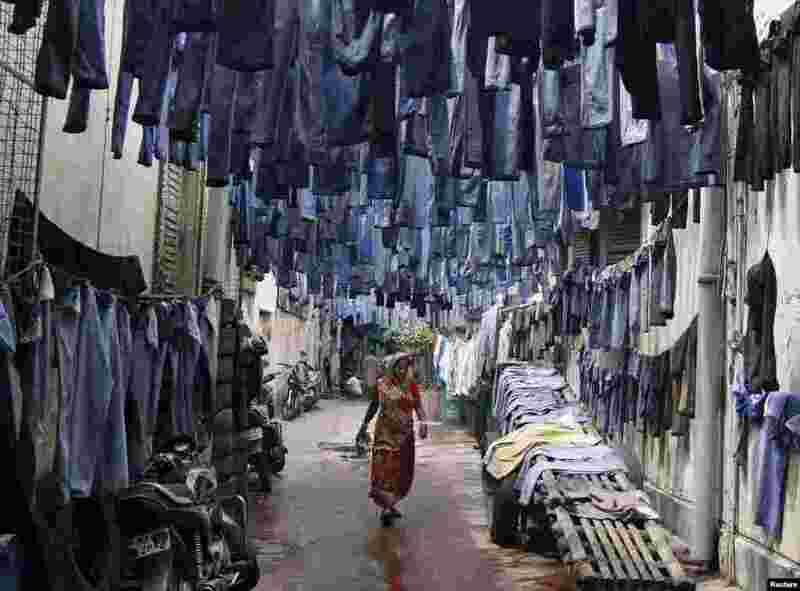 3 A woman walks through an alley amid used pairs of jeans hung to dry before they are sold in a second-hand clothes market in Kolkata, India. 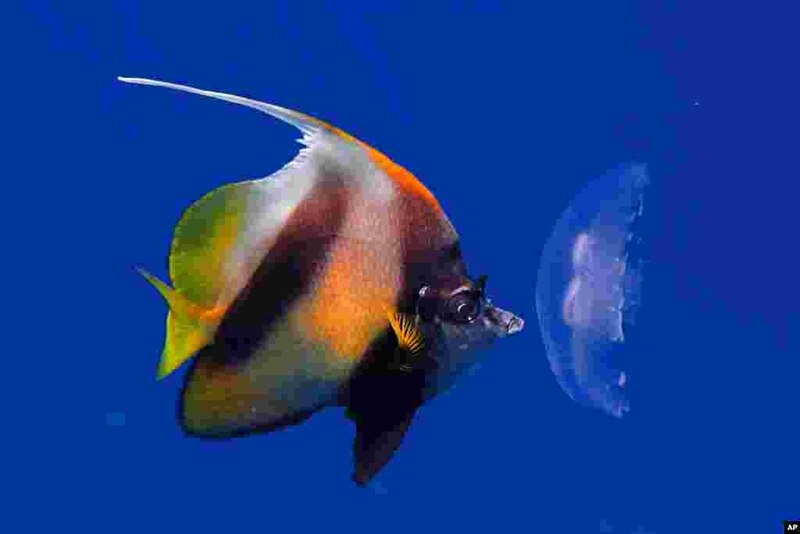 4 A fish eats a dead jellyfish near the surface of the Red Sea in the resort town of Sharm el-Sheikh, south Sinai, Egypt, June 28, 2015.